Prepare to see Tequila in a whole new light… especially if you live in SF, Chicago, Detroit, or Atlanta, where the first set of 1800 Tequila Artist billboards are now popping up to show off some of their beautiful and crazy Limited Edition bottle collaborations! And rolling out soon will also be chances for people to submit art for upcoming billboards/bottles… and SNEAKERS! A unique mix of palette and palate, this new initiative celebrates the talents of nine artists — Jorge Alderete (Mexico City) , Jeremy Bacharach (Chicago), Glenn Barr (Detroit), Will Chambers (Chicago), Chris Dean (Detroit), Kim Dosa (Atlanta), Josh Ellingson (Oakland), Hannah Stouffer (Oakland) and Urban Medium (Atlanta) — who have been commissioned to design collectible limited edition bottles. (There are only 1800 of each design, which will be available for a Pop Art price of $34.99 at high-end liquor stores). The specially commissioned artworks will be unveiled as part of an $8million outdoor advertising and promotional campaign across the country — a new-generation museum that brings art to the people. 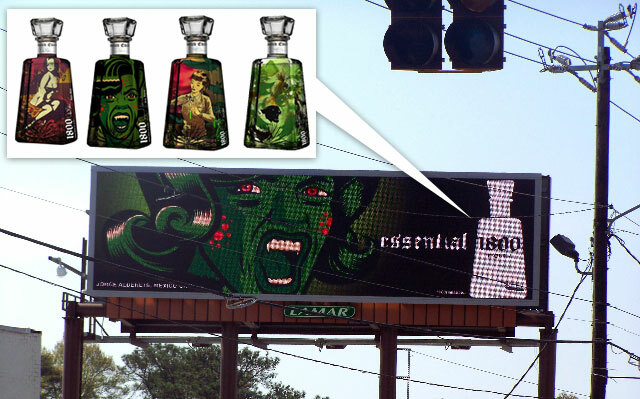 For those who are unable to view the high-impact billboards in person, the campaign will also be available online at www.1800Tequila.com . See my favorite bottle/billboards after the jump! Spanish designer and artist Jaime Hayon will be one of the most influential designers in the years to come, and this is the first monograph to present the full spectrum of his work. Ranging from clear and harmonious to playfully extravagant, all of the included examples of interiors, furniture, tableware and decorative ceramics attest to his inimitable grasp of form, style and colour. 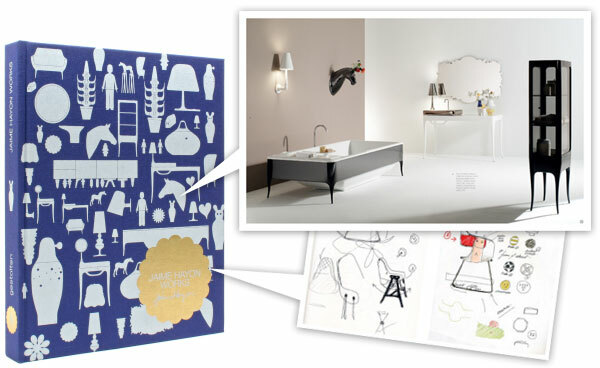 In addition to celebrated collaborations with clients such as Camper, Swarovski and Bisazza, Jaime Hayon Works contains previously unreleased personal sketches, illustrations and productions of new projects that will make its world premiere debut at the annual Milan Furniture Fair in April 2008. I have that tendency to post things when i get really excited… really really late at night (like 4:30am? )… thing like the Nike 2008 Olympic Footwear collection, which has a new unique shoe for EVERY sport to be represented at the Beijing 2008 Olympics. And then as usual, i wake up, and start reading and clicking and browsing even FURTHER only to find another aspect of the story i just get so giddy about i can’t help posting it. Well today, it was reading the design stories behind each and every shoe, and viewing the extremely high resolution images, have you LOOKED at some of these soles up close? Shoe and sport aside, there is some fascinating materials design going on here. 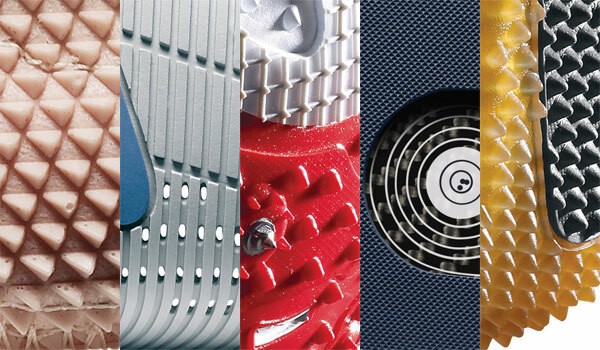 After the jump are some of the most interesting shoe soles and their Material Design Stories as found in the many press releases. I got this mysterious envelope today, and it contained the membership booklet of The Very Secret Order of Creatives Understanding. 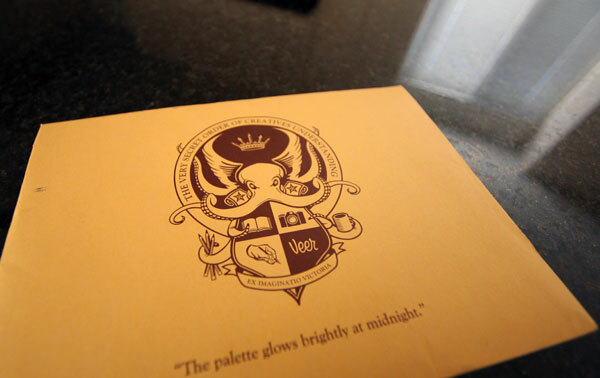 Seriously, as great as the internet and email are… snail mail has some perks, especially when it’s in the form of surprises with incredibly well designed typography, stock art, riddles, and a secret society membership card. 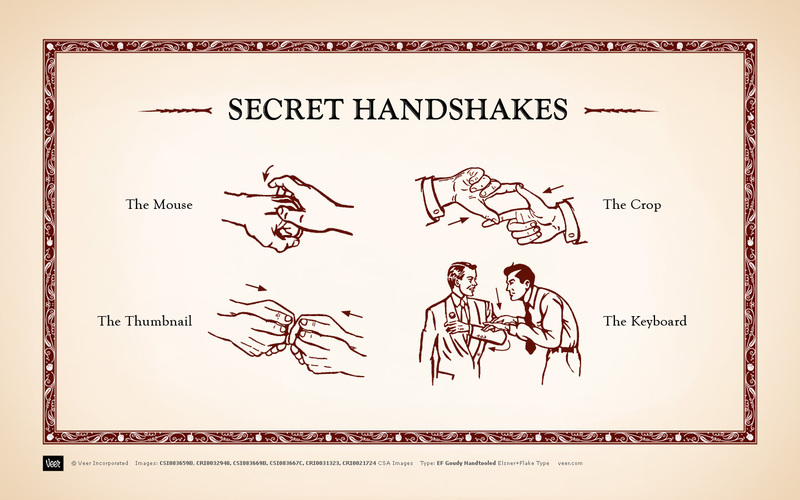 I felt like i was a little kid as i read through the secret handshakes and riddles in this booklet over breakfast. This… is the latest mailer from Veer! See more shots of it below! Blue Ant Studio has created yet another adorable poster for designer chair lovers… can you imagine if you went to the optometrist and they made you tell them which chairs you saw up to the tiniest ones to test your eyes (and chair knowledge)? Or what if it was part of an entry exam to design school??? Anyhow, loving this poster, check out the larger image after the jump! Chair Exam Poster, Hand signed and dated, Size print: 11”x17”, Total: 12” x 18”, Price is $35 shipped in the US or Canada, $50 shipped anywhere else. This poster ships flat in a custom made mailer made by the same black backing material. 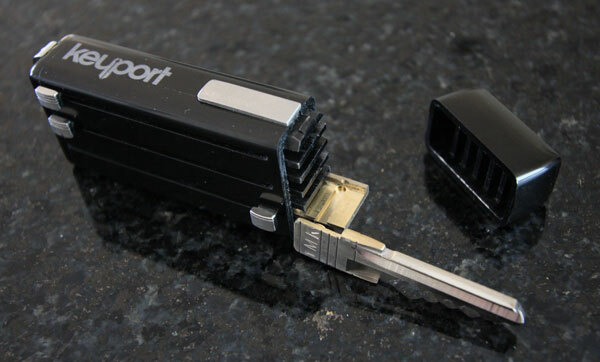 Keyport - the all in one keyfob… we’ve shown it to you before it was available, what the process of shipping your keys looks like, and more - and now i got hands on with one of the early production models to take apart for you! Aren’t you curious how they take your original keys and cut them down with dovetailing them to interlock with the main unit? I was… so up close pics and first impressions after the jump!!! I bet you’re having one of those “i wish i had thought of that first” moments… yes we all have $$$ bills and scanners, have probably played with origami or silly money folding tricks in our childhood… but Dan Tague has stepped up and taken it to the next level using this combination to make politically provocative prints 20 something inches wide (and bigger!). 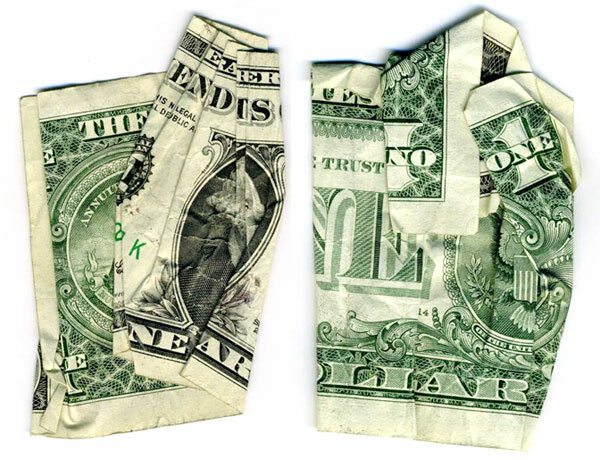 Dan Tague - “Cash Rules Everything Around Me” runs from March 29, 2008 through Apr 19, 2008 at the Jonathan Ferrara Gallery in New Orleans. Above - THE END IS NEAR & TRUST NO ONE… LIAR. See some of my favorites from his show after the jump - including: We Trust Liars, He is a liar. State of Fear. The American Idol. I Hate War. Hunt For Oil. The Heat is On. In God We Trust, Serve The State. NOTCOT Note: Here’s another post from Anna of the lovely Sub-Studio! You can also see her artwork in the tags on the side of the page right now! No design for the sake of design. Simplicity. Functionality. Practicality. Innovation. Individuality. The result is an impressive portfolio of branding/identity projects and gorgeous product packaging, including the product series Start Here - a set of linkable notebooks and planners. 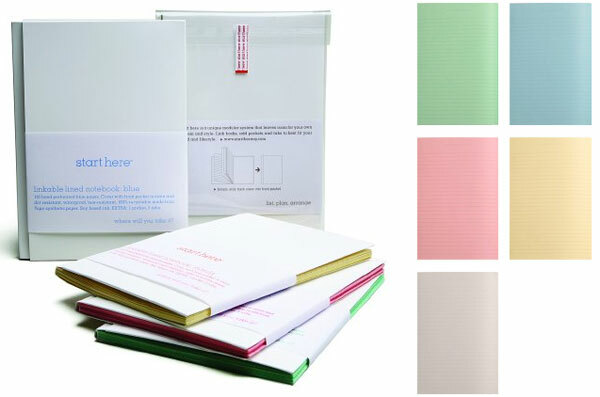 Individual notebooks can be linked together as you need and customized with self-adhesive pockets and colorful tabs. The cover is stain resistant, waterproof, and tear-resistant, and the interior paper is available in blue, grey, white, pink, manila, and green. 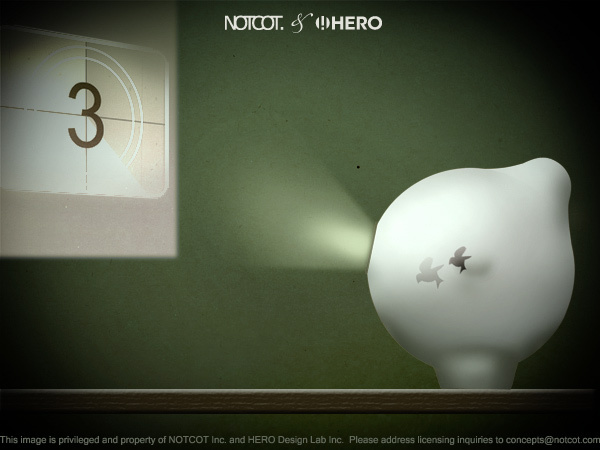 Check out more great projects after the jump. Look left. Look right. I’m excited to announce that we are showcasing the works of Sub-Studio in the gallery hang tags!!! 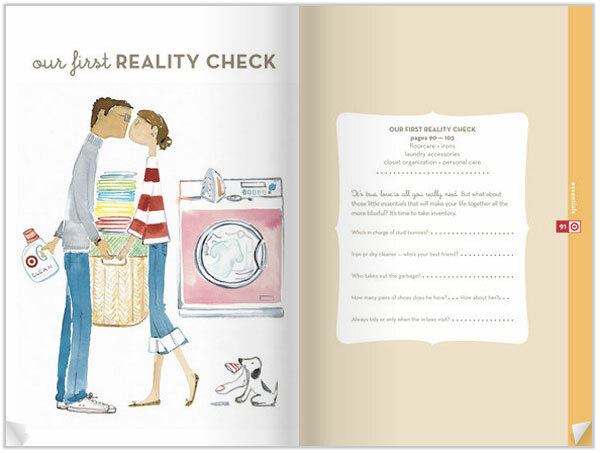 While most of you should be quite familiar with Sub-Studio (anna has been contributing some pretty amazing posts to NOTCOT)… for those who don’t know, Sub-Studio is the dynamic husband and wife duo - anna corpron and sean auyeung - with some incredible illustration/print skills, an adorable online shop, and a very cool blog. 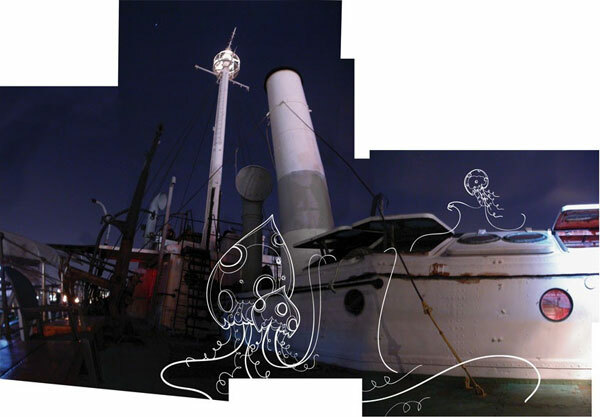 So explore an excerpt of their work through the tags - click away to see full pics in the gallery! ALSO noteworthy… when two giants converge, as soon as i started flipping through this digital catalog, i kept feeling like i was at Daily Candy, but i knew i was at Target, naturally i thought i was losing it… Turns out i’m not completely crazy, and they enlisted Daily Candy’s signature illustrator, Sujean Rim to paint the adorable images of newly weds in various stages… see more images below of my favorites! Julie Krakowski is a designer creating conceptual textiles. Take Coffee and Cigarettes I - a series of textiles based on the marks typically left on linens by everyday life, such as cigarette burns, and food stains. Each mark is painstakingly embroidered into the linen. This series seeks to “accentuate the importance of the random and the ambiguity between the worn and the precious”. Other textile explorations look at material transformation, such as molting and shedding, as well as textiles based on the organic world of mosses, vines, flowers, lichens and shells. Check out more of Julie’s work after the jump. 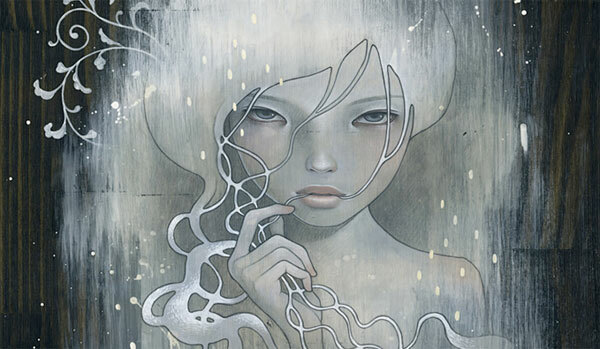 However, the works that caught my eyes was that of Stefanie Posavec. Stefanie’s maps capture something above and beyond that of the others. Rather than mapping physical geography, her maps capture regularities and patterns within a literary space. The pieces featured in On the Map focused on Kerouac’s On the Road. 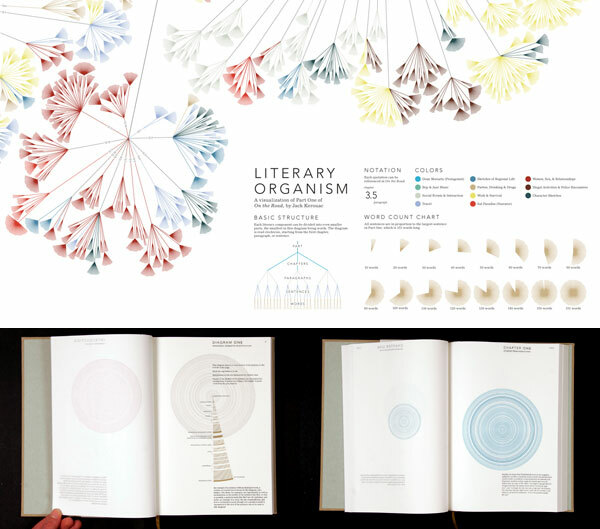 The maps visually represent the rhythm and structure of Kerouac’s literary space, creating works that are not only gorgeous from the point of view of graphic design, but also exhibit scientific rigor and precision in their formulation: meticulous scouring the surface of the text, highlighting and noting sentence length, prosody and themes, Posavec’s approach to the text is not unlike that of a surveyor. And similarly, the act is near reverential in its approach and the results are stunning graphical displays of the nature of the subject. The literary organism, rhythm textures and sentence drawings are truly gorgeous pieces. It’s not often that I am so thoroughly impressed by the depth of an artist’s work, but somehow, for me, these pieces do it all. I know, who would’ve thought I’d have stumbled upon such incredible work in the gallery across from our hotel in Sheffield! It just goes to show the world is full of surprises. High-res images below not to be missed! NOTCOT Note: Here’s part two of NOTConcept 002 ~ more thought out sketches exploring the idea of the tiki torch styles and gnomes to create a modular ambient multi-sensory experience outdoors… and i must admit, as i go through the sketches that Leo Corrales and Jenny Lemieux from HERO Design Lab have done for this round, i can already imagine how much fun a garden party or dusk, movie on the lawn party would be with these surrounding you and helping create that perfect outdoor musical/projector experience. To start off - here’s the Alfa gnome (there are also alfa trees), which will incorporate a projection unit… either to create flood light or to project your last trip vid (alright maybe the match of the day that you’re watching with your buddies)… See the rest of the clan of gnomes and their corresponding tiki torch speaker trees after the jump!! !